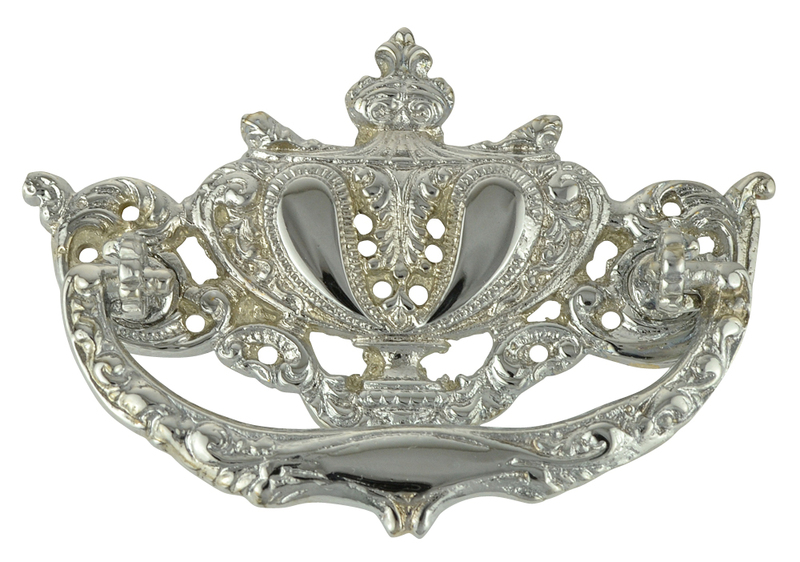 4 1/4 Inch Solid Brass Baroque Rococo Lamp Bail Pull (Polished Chrome Finish) - measures 4 1/4 inches long and 2 1/2 inches tall. Center to center mounting distance is 3 inches (76.2 mm 3.00 c-c). Highly ornate and hand finished detailing. Available in several finishes. Comes complete with mounting hardware.